Check out my build thread:"Impala SSX Build"
Sorry, no pics until I get a grill badge from somewhere. It just looks WRONG right now. I can't help it, I have a thing for wagons!!! I had to pull the hub caps. The had the wheels too out of balance. So, trim rings on badly painted wheels are it for the moment. Two words: UG LY!!! With this look, the wheels need painted, the lugs need to be chrome or covered with spyder center caps! These, but without the white walls... if it stays this way. which one of these is not like thee other? i found this parking arrangement to ironic not to snap a picture of it... i bet those prius owners didn't like me or my romney sticker! ... i bet those prius owners didn't like me or my romney sticker! disposal, not energy costs associated only with vehicle ownership. Sport costs $2.42, and the Cadillac Escalade costs $2.75. "The weak are meat and the strong will eat." Looks like a very cool build. Well, this car is liking being driven! My last tank of gas: 98% Hwy @ 70-75mph yielded a whopping 24.3 mpg! Wooooooooooooot! These old B Bodies do great on the highway. My 94 gets about 20mpg at 70-75mph. Has not had a tune up since I bought it 4.5 years ago, and has over 300,000 miles on it. 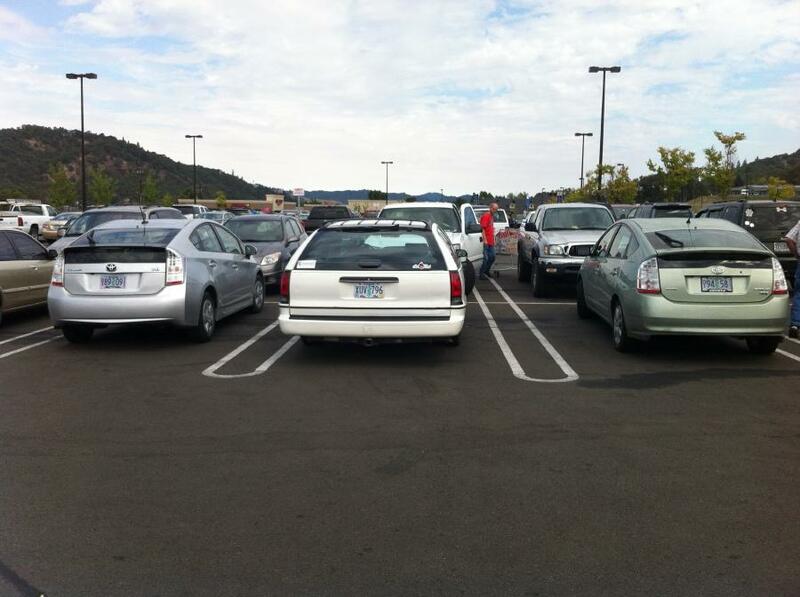 Take that Prius owners. Tri-9 Defined: 1994, 1995 or 1996 B-Body. mine now has 215k miles! Is yours the 350? I found my 305 likes 72mph better than 70mph. It seems to be the sweet spot.